Pre-order healthy meals ready for pick up through Betsy's Pantry by Chef David. Pre-order each week Monday-Wednesday. Online payments make the pick up process simple and quick. Food is cooked fresh and ready for you on Mondays. All you do is heat it up! Each meal has an option of a protein and a complex carbohydrate. These meals are healthy, fresh, low in sodium and perfect for a busy lifestyle. You can also order protein muffins, protein packed quinoa, fresh almond butter and packs of fresh protein and much more! Meal Pick-Up Details: Every Monday at the Lower Level of Barre 3 Knoxville on Kingston Pike/Bearden Hill OR at Temple Human Performance Services above Cazzy's Corner . Pick Up Times: 3:30-6:00pm. Many health issues are nutrition related and require lifestyle changes. Betsy will educate, guide, and inspire you nutritionally to enjoy the best of your health. By properly fueling your body, you will achieve a more energetic and healthy lifestyle. Betsy and Chef David will help you by providing food choices and clean eating guidance. Betsy Johnson, owner of Betsy's Pantry by Chef David is a graduate of Southern Methodist University in Dallas, Texas and earned her marketing degree while she was there. Betsy has been involved in athletics her entire life and has a passion for exercise and nutrition. As a senior in high school, she ran her first marathon and has been running ever since that time. Betsy moved to Knoxville in 2002 and started getting more competitive in marathons and triathlons. She has completed ten marathons all over the USA, three Boston Marathons, and she has competed in numerous short distance, Olympic Distance, and Ironman Triathlons. Among many awards and honors, Betsy has earned first overall female and first place in her age group in four different Half Ironman events. In 2012, Betsy won the top female in the Grand Prix race series in Knoxville throughout four triathlon events. In September of 2014, she completed her first full Ironman in Chattanooga, TN. She placed 10th in her age group and in the top 8% of all finishers. Betsy made the All American team for the 2014 and 2015 USA Triathlon season. Serious race training called for a formal education on the nutrition side of these competitive events. Betsy earned her ISSA Fitness Nutrition coaching certification in 2014. Betsy understands what it means to compete, but most importantly, she knows how to fuel her body correctly for an ultimate lifestyle change. Betsy has a passion for nutrition and sports and loves to help people reach their ultimate goal in weight loss and healthy lifestyle changes. She absolutely loves what she does to help people reach their potential and to believe in themselves. Betsy teamed up with Knoxville native Chef David Pinckney in June 2015. 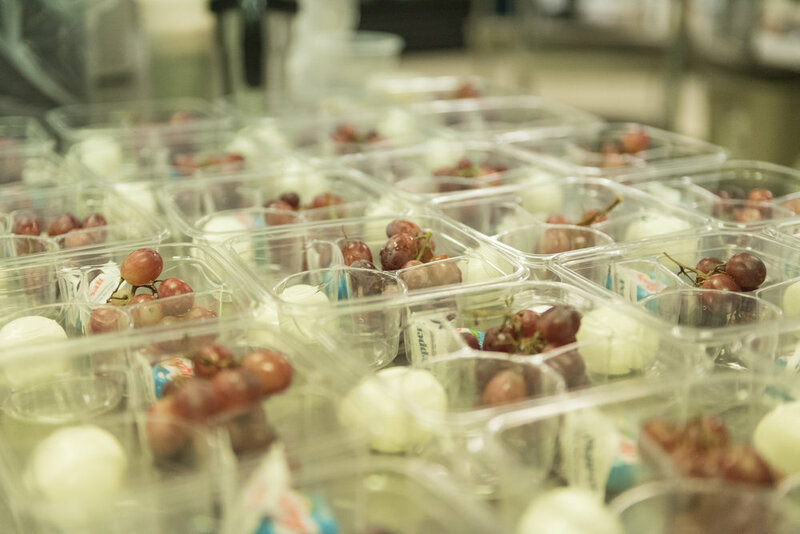 Together, they started Betsy’s Pantry by Chef David to solve individual and family nutritional needs with professionally prepared fine dining options. The Pantry food is healthy, fresh, and easy to serve. Betsy is married with two young sons and she works hard so she understands a busy life. She is proven as a positive coach for making nutrition work within a variety of lifestyles. 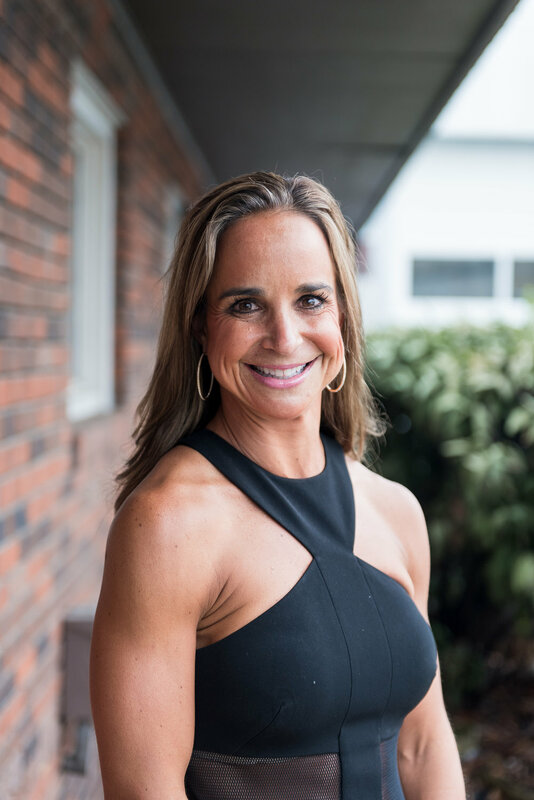 Betsy combines her experience and passion as a Nutrition Fitness Coach with healthy, fresh, smart, and quick meal planning options for you and your family. <--- A native of Knoxville, Tennessee, renowned Executive Chef David Hume Pinckney of Betsy's Pantry by Chef David cultivated a culinary passion at an early age while cooking with his mother. While obtaining a Bachelor of Science degree in Finance at the University of Tennessee, David apprenticed under Chef Bill Allen at The Orangery Restaurant from 1979 to 1986. Chef Allen had previously trained with French chefs Roger Verge and Andre Soltner who are often considered the greatest chefs of their time. In 1987, David became the Executive Chef of The Orangery. In 1996, David was invited to prepare the “Taste of Tennessee” dinner at the James Beard Foundation in New York City. His recipes have been published in Gourmet, Southern Living, The Knoxville News Sentinel, City View, Knoxville Homes &Living, and in the Taste of Tennessee cookbook. He has been teaching classes at the Glass Bazaar in Knoxville for over 20 years. David departed The Orangery in 2006 upon accepting the position of Executive Chef at Knoxville’s prestigious Cherokee Country Club. During the course of his culinary career, David has attended Cordon Bleu in London and appeared on Food Network, Live at Five, Good Morning Tennessee, Noonday with Chef Walter Lambert, WBIR morning and noon shows, Style, and Charter Communication’s “Cookin’ with Celebrity Chefs.” He also opened the new Sunspot for Randy Burleson of Aubrey’s fame. David is an avid golfer and enjoys traveling around the country to playing at the top golf courses. He also enjoys dining at great restaurants and continuing to create boldly flavored, deeply satisfying dishes.